Can you tell I bought a bunch of Altenew sets? 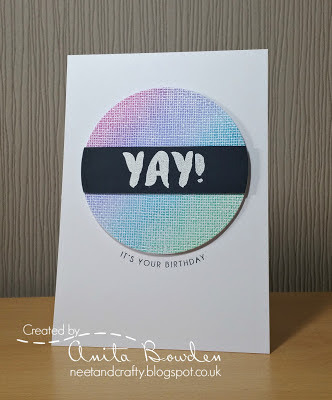 This sentiment is from Celebrate, a nice $5 set. The little star is from Concord & 9th's Eat Cake & Celebrate. Individually stamped each of those stars! Yes, my hand hurt by the time I was finished. Cut out the single stars and covered them and the word "YAY!" with Clear Pico Embellisher (similar to Glossy Accents but comes in a non clogging bottle, which should be required by law!!!). And I'm submitting this to the latest Muse Challenge. I'll admit that I wasn't aware of it when I made my card, but Anita's card is fantastic. Both of ours use the same Altenew sentiment placed in the same way against a background. Great minds think alike! LOVE this Joan! I can think your hand hurt after stamping all this ! The way you stamped the sentiment in color and black are so inspiring... you will surely see me CASEing it! Fun design, Joan, and I admire your dedication stamping all those STARS lol! What a fun design for your super cute cards Joan!! Ooooh, so pretty! I love how you've coloured just a few of the stars, looks very effective! Lovely cards! 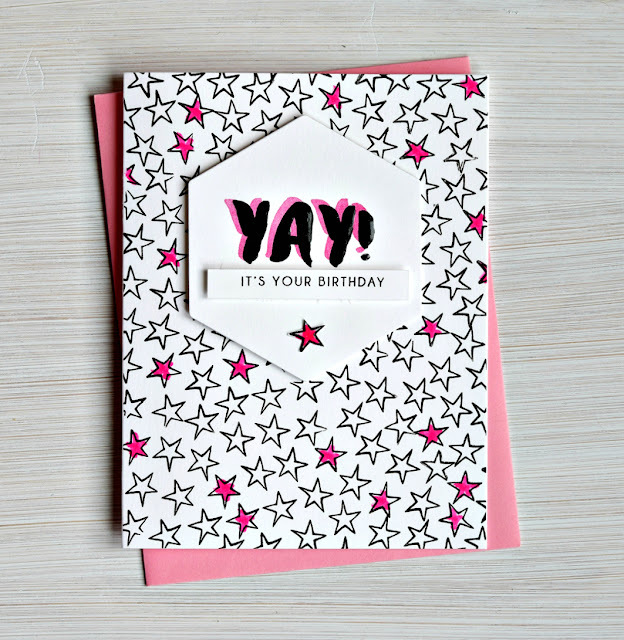 Your brilliance is showing in the way you double stamped the "yay" and colored just a few of the MANY stars. My hand would ache, too, but it looks fantastic! I agree, "no clog" should be a law. Now I'm going to resist rushing right out to buy a bunch of Pico and Altenew. So nice to see you active again. Hope you continue to provide inspiration for your readers! Hello Joan!! I'm visiting from Muse Card Challenge. Your cards are gorgeous and the colors are delicious. Hugs, Raquel! Love your design, Joan! I honestly thought this was a cool star patterned paper! 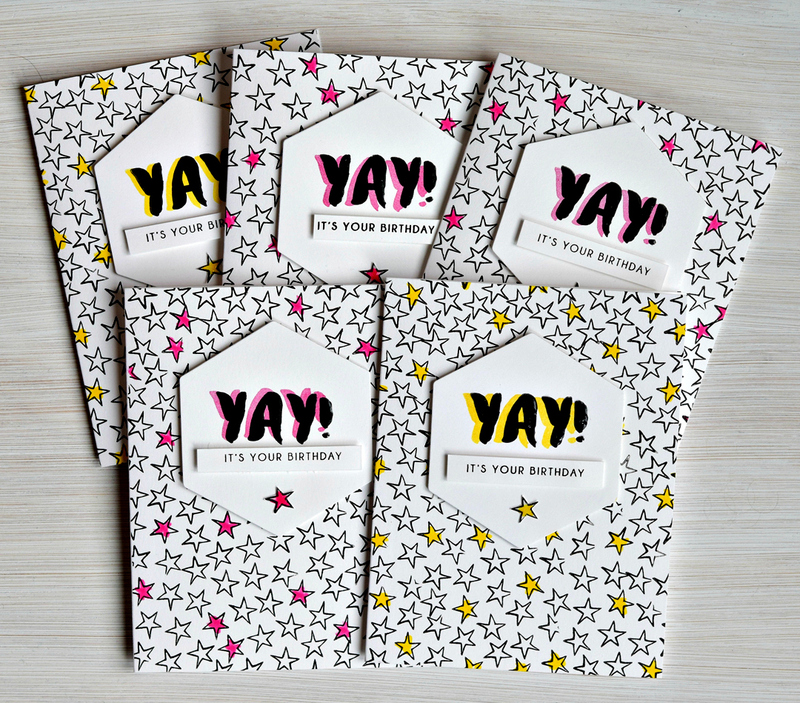 Love these bright and cheery celebration cards. They're fabulous!